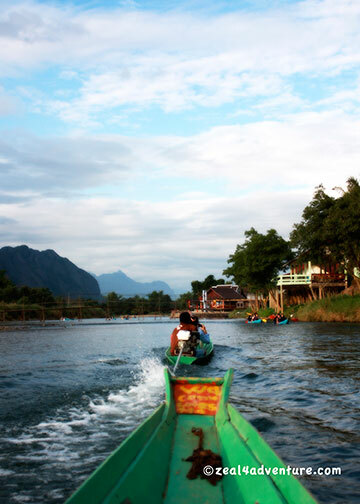 Once a peaceful and quiet town, Vang Vieng used to appeal only to adventure travelers wanting to rock climb, explore caves or to simply enjoy its tranquil surroundings, its people and culture. 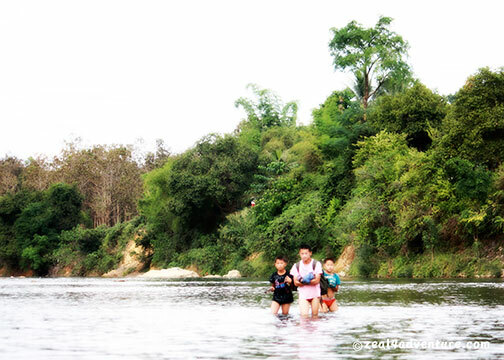 Surrounded with striking karst rock formation, the Namsong runs through it contributing to its serene setting. 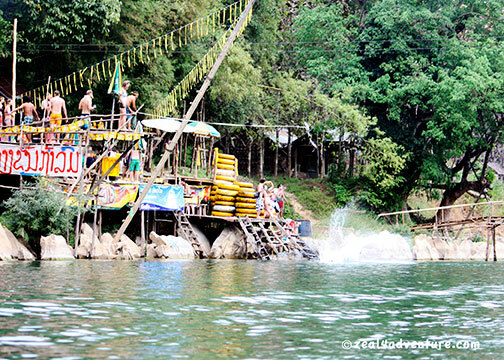 Since the launch of inner tubing in the mid-2000, the quiet town of Vang Vieng has never been quite the same. The Namsong now appeal to “partying” backpackers. 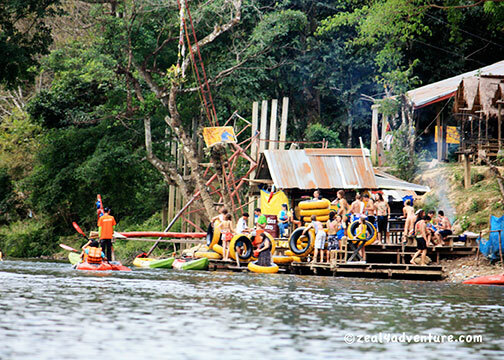 many bars along the riverbanks catering to those floating downstream either in rubber tubes or on a kayak. 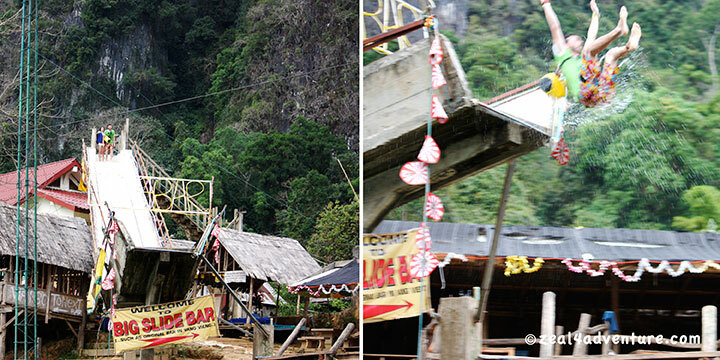 some offering more thrills in the form of swings and ziplines. 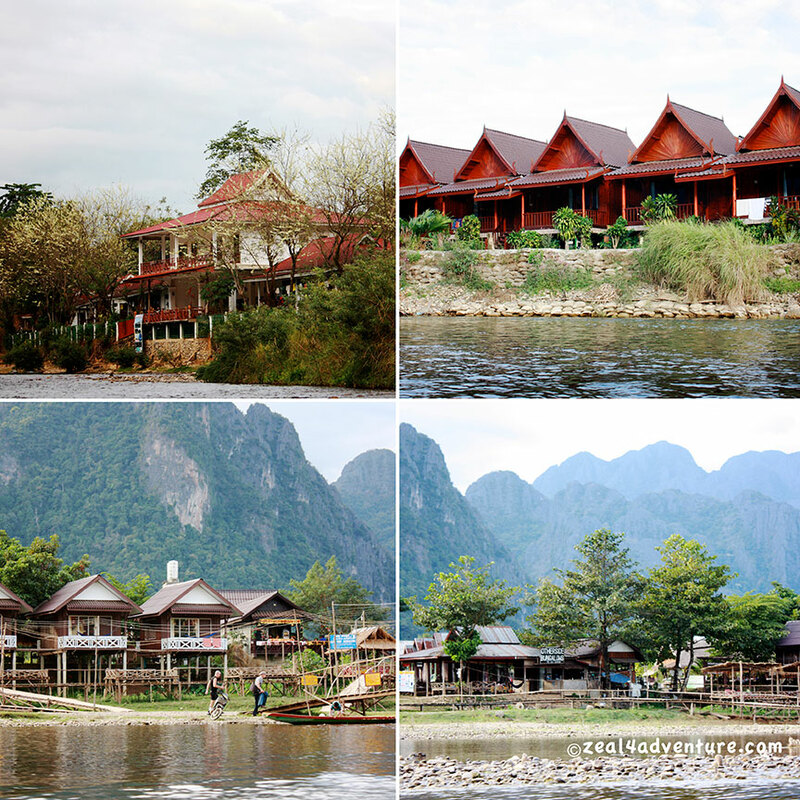 Along with the bars, lodgings of various types line both sides of the riverbanks. 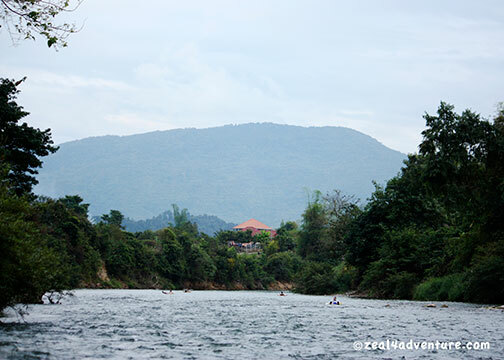 A short afternoon cruise up and down the river on a motorized boat reveal all these. 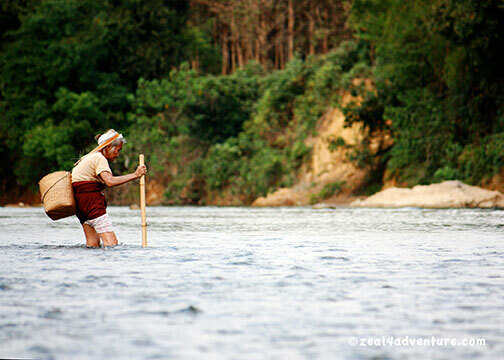 It is the easiest way to watch the goings on around the river. 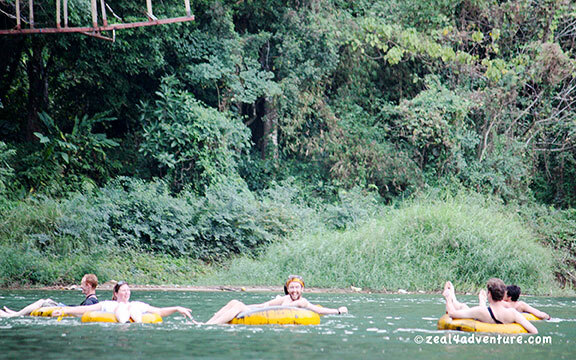 Foreigners partying or simply floating down the river dominate local scenes along the river. The “party” scene may have appealed to me years ago but today, I prefer the relaxed atmosphere of the down river part of the Namsong. 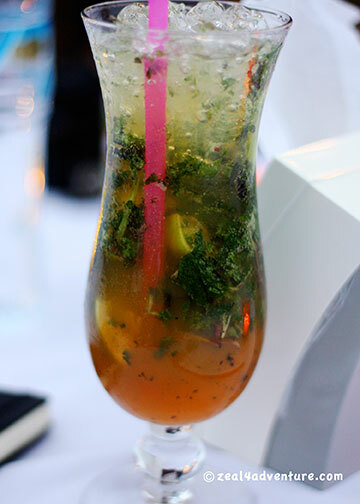 Watching the sunset over cocktails after a long day is my idea of a good time. 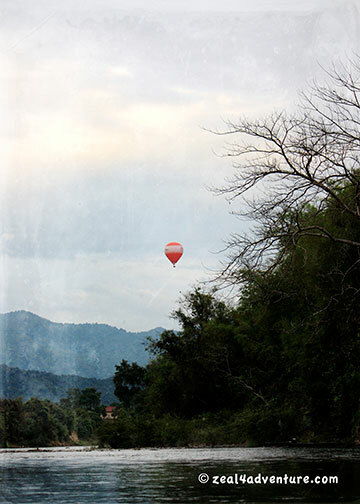 This looks like fun… so we booked a sunrise ride over Vang Vieng on a Hot Air Balloon… on my next post. 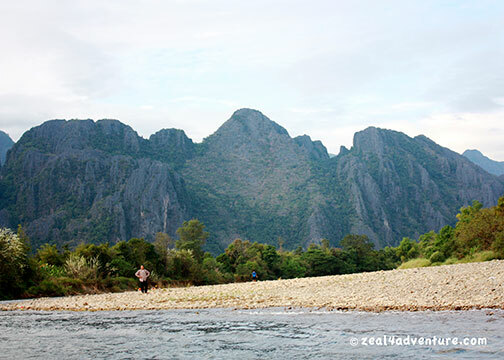 I was in Vang Vieng in 2009…it was gorgeous! wow you surely are enjoying. I am envious. 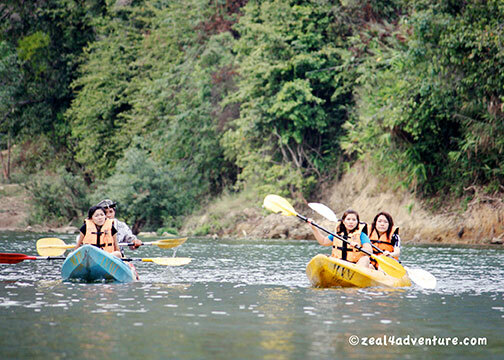 Great photos of a fun time!